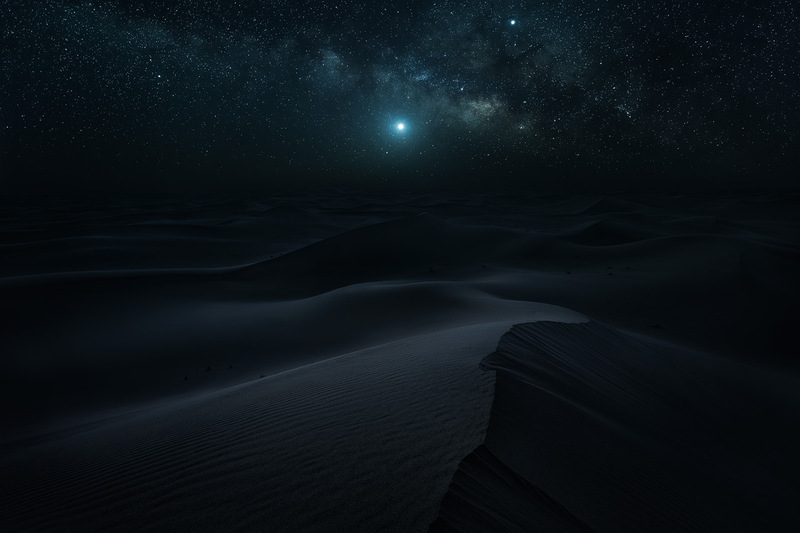 A recent article I wrote over at CaptureLandscapes about how I used image averaging and time blending to create my photo Desert Nights stirred some discussion. Particularly the time blending technique was topic of the comments I received. An opinion was that time blending is nothing other than compositing. But I think there’s an important distinction to make between the two and that time blending should remain a term of its own. Let me elaborate a bit: Compositing is the combining of visual elements from separate sources into single images, often to create the illusion that all those elements are parts of the same scene [Wikipedia]. That’s how most people understand it. In landscape photography it’s sometimes used to put dramatic skies into photos that were photographed when there wasn’t much going on in the sky at all. You can see tons of such composites on Instagram these days and in my opinion those images deceive the viewer, if they are not labeled as composites. I don’t do such composites and rather come back to a scene and photograph it until the conditions are right. And if I never get those conditions or don’t have the chance to revisit, I’m ok with that. It’s important to sometimes fail in your photo endeavors in order to cherish those moments, when everything comes together as planned, even more. With this description of what many understand under the term compositing you might begin to understand why I’d like to distinguish time blending from it. Technically both share similar traits, but the motivation behind the two, in my opinion, is often different. I use time blending as a tool to capture the atmosphere of a scene, if doing so with a single photo is not possible. 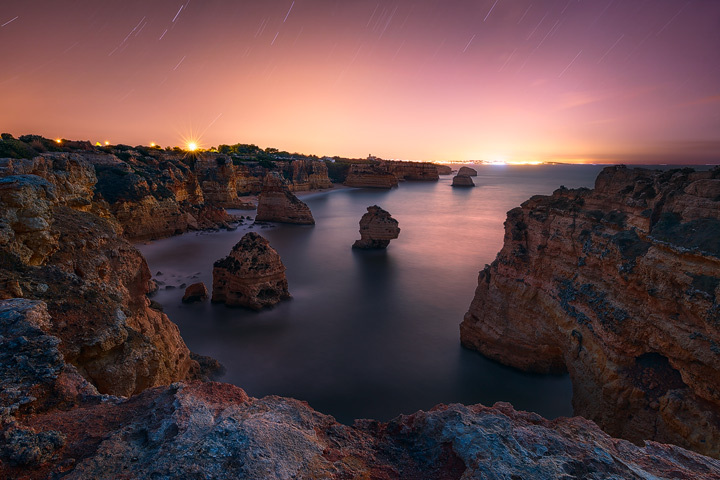 For example, when it’s too dark to capture enough detail in the foreground, as it was the case with the photo Desert Nights or with the photo of Praia da Marinha. When taking night photos I either have to bring along special equipment or, since I don’t have it, be creative and use other ways to capture what I experience. As I would use bracketing to capture the complete dynamic range of a scene during sunrise or sunset, I use time blending to capture all the details of a scene in front of me. The only difference is that I do so over an extended period of time. But it’s still about capturing what I see and experience when taking those photos. I have to admit though that the line between time blending and compositing is a bit blurry. In Desert Nights I was using it as a tool to work around the technical limitations of my camera equipment. But in the past I have also used it a bit more creatively. For the image above I took photos of the Heidelberg Castle over a period of one hour around sunset and later combined the light of sunset with the city lights. My motivation was to capture what this particular evening at this viewpoint looked like and show the complete transition of sunset into blue hour. This would normally require motion pictures, but I used time blending in an attempt to capture it in one photo. This certainly goes more into the direction of compositing. In the end though compositing, time blending, exposure blending and photography are all just art. There will always be different opinions about what’s still photography and what’s rather digital art and there’s really no right and wrong here.